Many couples avoid drawing up a pre-nuptial agreement in the mistaken belief that it is not romantic and indicates a level of distrust in each other. Others may feel that even considering a pre-nuptial agreement signifies that there is doubt about the longevity of the marriage. What these couples fail to realize is the security such an agreement can provide. A pre-nuptial agreement is a business contract that protects ownership and retention of any assets owned prior to the wedding. If one partner owns a business for example, that they built without any input or assistance, financial or otherwise, from their partner, and wishes to retain sole rights to the business should the marriage fail, a pre-nuptial agreement is not only advised but essential. A pre-nuptial agreement can cover any assets the couple wishes to include in it. The terms of the agreement can cover retention of premarital assets in the event of divorce but is also useful in the event of one of the marriage partner’s death. If either partner has children from a previous marriage they may want their children to inherit their personal assets, businesses and other belongings. While many states make provision for the surviving partner to inherit, provided a pre-nuptial agreement is in place, the pre-nuptial agreement will determine how the deceased’s assets are distributed. 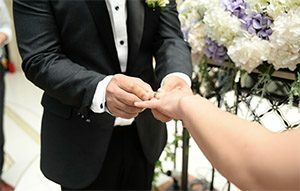 When two people who both own property decide to marry, a pre-nuptial agreement can be put in place to cover the retention of their individual premarital property rights in the event of death or divorce. Putting a pre-nuptial agreement in place before marrying can make things simpler in the future should one of the marriage partners die or the couple decide to divorce. Division of property can be stressful but when a pre-nuptial agreement is in effect there is no confusion over who owned what prior to the marriage. It is also advantageous to have a pre-nuptial agreement if one of the marriage partners has significant debt that the other partner has no wish to be responsible for should the marriage end. While typically debt is shared once a couple marries, a pre-nuptial agreement can ensure that the partner who incurred the debt remains solely responsible for it upon dissolution of the marriage. When the debt is large enough that it will require many years to pay it off a pre-nuptial agreement will provide assurance for the other partner that they will not be held responsible in the event of a divorce. 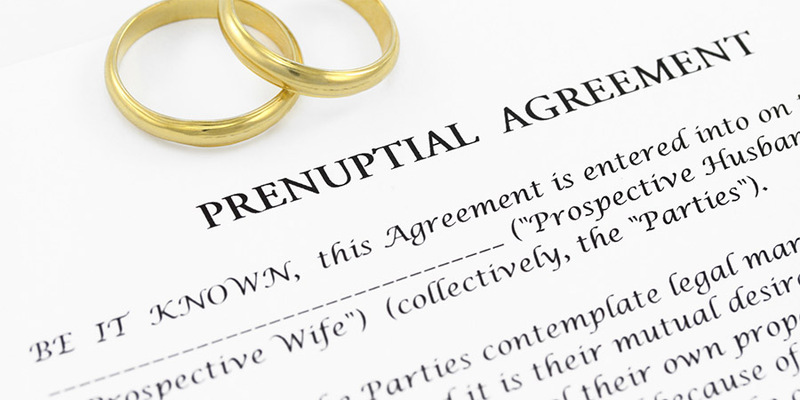 In many cases a pre-nuptial agreement is not necessary. When both marriage partners enter into the marriage with no notable assets of significant value the couple may be satisfied to begin their lives together without an agreement. So often a pre-nuptial is not even discussed because a couple is too in love to even consider the possibility of the marriage failing. If, after some time, the couple decides that one or both of them need an agreement put in place to protect their personally owned assets, and the other partner agrees to it, a post-nuptial agreement can be drawn up. This can be done at any time after the wedding and is advisable should one partner is expecting to come into property or money as a result of the death of a family member. The other partner must be in agreement, however, and if they decide they do not agree it could cause for concern. It is better to have these types of decisions made prior to the wedding. If the couple decides a pre-nuptial agreement is in order it is imperative that they hire the services of a professional familiar with the writing and execution of such a contract.